Global gaming and lottery supplier International Game Technology Plc (IGT) said total revenue for the fourth quarter 2017 was US$1.35 billion, up 1.9 percent in year-on-year terms. Such growth was supported by stronger gaming sales in the international segment and higher lottery software sales than an year earlier, said the firm. The company saw its operating income for the three months to December 31 increase by 40.5 percent year-on-year, to US$193.9 million. Adjusted earnings before interest, taxation, depreciation and amortisation (EBITDA) was US$452 million compared to US$422 million in the fourth quarter of 2016, “on strong International performance, Italy sports betting results, and lower operating expenses,” said the company. Net income for the period was US$79.7 million, down when compared to US$233.3 million in the fourth quarter of 2016. IGT said however that the benefit from income taxes rose to US$83 million from US$5 million in the fourth quarter of 2016, mainly because of “non-cash impacts of recent U.S. tax reform”. IGT’s board of directors declared a quarterly cash dividend of US$0.20 per share. The dividend is payable on April 5, to shareholders of record as of March 22, it said. “We had a strong finish to 2017, amplifying the progress we made throughout the year,” said Marco Sala, chief executive of IGT, in a prepared statement. “We delivered outstanding results in our lottery business and improved our key performance indicators in the gaming business. These achievements were enhanced by disciplined expense management,” he added. Total revenue in the gaming segment stood at US$664 million for the three months ended December 31, down 9.0 percent from a year earlier. The firm said gaming services revenue declined 8.1 percent year-on-year, to US$452 million. Revenue from gaming product sales fell 10.7 percent year-on-year, to US$212 million. 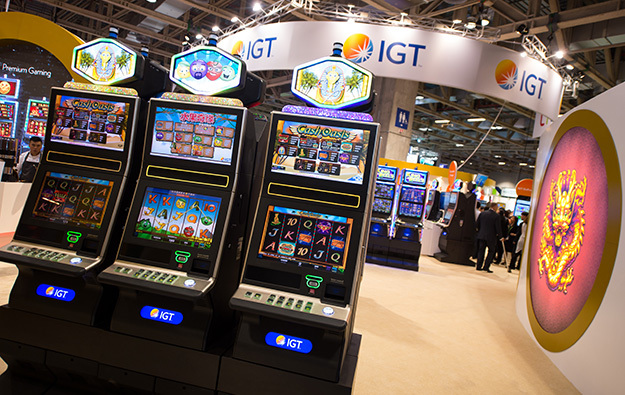 IGT’s revenue from the international segment – that excludes sales in North America and Italy – rose 27 percent from the prior-year quarter, to US$280 million, “reflecting strong growth in both lottery and gaming,” according to Thursday’s release. The firm’s gaming revenue in the segment increased 3.6 percent year-on-year to US$149 million, including US$55 million from gaming services and US$94 million from product sales. The company’s global casino installed base grew to 35,625 units at the end of December, said IGT. The company shipped 10,860 gaming machines worldwide during the fourth quarter, with higher average selling prices than a year earlier, it said. In the international segment, the firm shipped a total of 5,565 gaming machine units during the reporting period, compared to 4,901 units in the prior-year period. For full-year 2017, IGT reported revenue of nearly US$4.94 billion, down 4.2 percent compared to US$5.15 billion in 2016. During the year, the company shipped 32,103 gaming machines worldwide. The total installed base grew over 6 percent to 62,236 units, it stated. Net loss attributable to IGT was approximately US$1.07 billion in 2017; it included a US$714 million non-cash impairment charge and a US$444 million of primarily non-cash net foreign exchange loss, said the firm. IGT’s net debt was nearly US$7.32 billion as of December 31. The company said additionally that it expected to achieve adjusted EBITDA in the range of US$1.70 billion to US$1.78 billion in 2018. In a note published following IGT’s fourth quarter results announcement, brokerage Deutsche Bank Securities Inc said IGT’s management provided “a fourth quarter beat and guided EBITDA above consensus for 2018”. “In our view, [management] spoke to two key valuation multiple expansion drivers: 1) gaming is expected to drive the bulk of 2018 growth; and 2) IGT is experiencing an inflection in its domestic gaming ops install base,” said analysts Carlo Santarelli and Danny Valoy in a Thursday note.